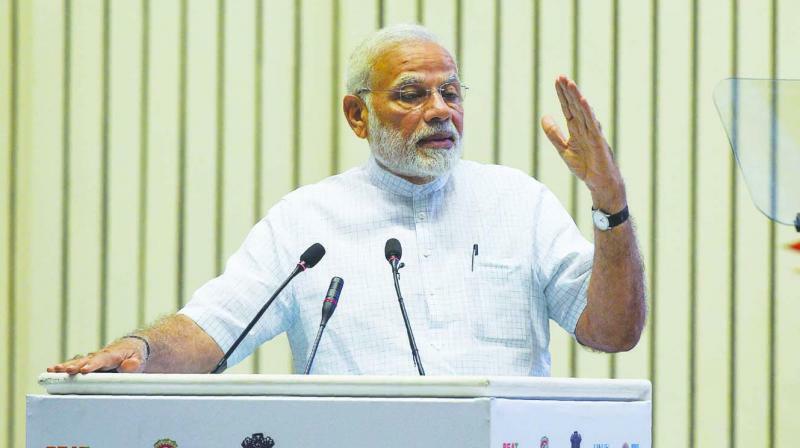 Prime Minister Narendra Modi begins his “African safari” on Monday, July 23, with stops in Rwanda and Uganda before arriving in South Africa for the 10th Brics summit on July 26-27. The Bric group of countries started meeting in 2006 after the 2001 prognostication by Jim O’Neill, chief economist of Goldman Sachs, that Brazil, China, India and Russia shall drive global growth in the following decade. South Africa too joined it in 2010 after summit level meetings started in 2009. The theme this time, determined by the host, is “Brics in Africa”. The five nations constitute 26 per cent of the world’s land mass and 43 per cent of its population. Prime Minister Modi will visit two African nations en route to the Brics summit. Rwanda is current chair of the African Union and is led by a charismatic but now controversial President Paul Kagame, who has amended the constitution to remain in power almost indefinitely. He has, however, brought stability to a nation that witnessed genocide when the Hutus and Tutsis, the two dominant tribal groups, clashed in 2004. Mr Modi shall lay a wreath at the Kigali Genocide Memorial. The two sides will also sign a defence cooperation agreement and two lines of credit of `10 crores for a special economic zone and $100 million for agriculture and irrigation projects. India is also gifting 200 cows under a Girinka scheme, whereby female calves are gifted by recipients to neighbours. Mr Modi then flies to Uganda, best remembered in India for the expulsion of Indians by then dictator Idi Amin in the 1970s. President Yoweri Museveni has ruled since the 1979-80 as a relatively benign dictator, a nation gifted by nature with fertile land and water resources. The two biggest landholding families were the Madhvanis, to a descendant of which actress Mumtaz married, and the Mehtas, in whose staff quarters was born Idi Amin. After Mr Museveni took charge, the Indian community has gradually grown, with some restitution of land and property seized by Idi Amin, numbering now over 25,000. Their Gujarati predominance would provide Mr Modi a ready diaspora audience to regale. President Museveni has visited India multiple times, including on private visits, but a visit by an Indian Prime Minister is a first since 1997. Again, two lines of credit will be offered consisting of $141 million for electricity lines and $64 million for agriculture and dairy. Interestingly, Chinese President Xi Jinping is also combining Brics summit with an Africa outreach by visiting Senegal, Rwanda (before Mr Modi gets there) and Mauritius. President Xi prefaces a bilateral visit to South Africa with the Brics summit. A trip to South Africa is particularly significant this year as it celebrates the 100th birth anniversary of iconic first post-apartheid President Nelson Mandela. For India, additionally it marks the 125th anniversary of the infamous incident at Pietermaritzburg station when Mahatma Gandhi was ejected from a railway carriage being a non-white, setting-off his anti-apartheid crusade. Undoubtedly Mr Modi will capture that during his visit, although back in India dalit grooms are occasionally still similarly barred from riding horses. The South African economy has languished in the past decade due to the global fall in demand for minerals and metals and poor governance by former President Jacob Zuma, now replaced by Cyril Ramaphosa. There is also a simmering controversy over the Guptas, a family of non-resident Indians, who have fled after unsavoury deals with Mr Zuma and his confidants. But South Africa still provides an excellent base for economic penetration of southern Africa, having the best infrastructure and industrial development. An Indian business delegation will be there coinciding with Mr Modi’s visit. Also, Mr Modi and Mr Ramaphosa must establish a working relationship as the South African economy revives. China is way ahead of India in development assistance to Africa, having announced in 2015 a $60 billion investment package for African projects. China-Africa trade has vacillated depending on Chinese demand for global commodities. Chinese imports peaked at $200 billion in 2013 but then fell to $125 billion approximately in 2016. Similarly, Chinese exports rose from $60 billion approximately in 2013 to top $150 billion in 2015 and again slipping under $100 billion in 2016. India-Africa trade, on the other hand, in 2015 was $90 billion, about one-fourth that of China. The Modi government’s more ambitious outreach to African leaders by hosting them in India as a group has helped India reconnect with its natural constituency in post-colonial Africa. The Brics summits regain importance as US President Donald Trump has kindled a trade war with China, while unleashing sanctions against Russia and Iran, the latter being an important trading partner of China, India and Russia. Despite continuing political instability in Brazil, where President Michel Temer copes with the trial and incarceration of founder member of Brics and former President Luiz I. Lula de Silva, the Brics nations need to underpin the international rules of commerce and investment. This is necessary to counter the anti-globalisation sentiment strongly advanced by the United States under President Trump and breeding in some European Union nations. To achieve this, they must enhance intra-Brics trade and investment and energise Brics’ New Development Bank, which has already approved four infrastructure projects worth $5 billion. However, Brazil and India face elections in 2019, and as the next chair Brazil will host the 11th summit. To counter the Trump-led institution-bashing and regimes-undermining strategy, all groups, new and old, albeit some like EU distracted by anti-immigration and nativist sentiments, must resist. But India must also ensure that Brics does not become patently anti-American. At the summit the five important nations from major continents need to create convergent and constructive points of view on global economic and political issues. It may also have a salutary effect on Sino-Indian relations, when President Xi and Prime Minister Modi shake hands again.